Germany’s largest developer conference takes place October 18-19 in Hamburg. Join world-class speakers and tech experts to hear discussions on the latest trends and themes in the world of technology. 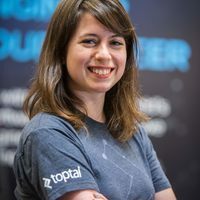 Jenny Shen, a Toptal designer and member of the Toptal Speakers Network, is a keynote speaker at this conference. Jenny will deliver a talk titled Out of Office: The future of work is anywhere. Join Jenny as she explores the the best strategies, tools, and culture tips from top remote companies, and how individuals and companies can embrace the remote revolution. Her talk is on Thursday, October 18th at 3:00pm.